A film’s aesthetic and visual palette can largely determine its mood, feel and even themes. Production, costume and art design all massively contribute to a film’s look, as well as the cinematography and directorial choices. Some filmmakers use visual extravagance and excess for no real point, making their films feel emotionally vapid and pointlessly indulgent (Baz Luhrman and Tarsem Singh come to mind), but when a filmmaker can really utilize those colors and visual allure to bring out emotions, set a mood and give their work personality, it’s always a treat. That’s not to say all great movies have to be doused in bright colors, but sometimes the visual experience a film offers has just as much to do with its quality as the characters, story or dialog. The better a film looks and the more exciting it is to the eye, the more memorable and stimulating the film is – as long as it has the other elements of a good movie to back up that atheistic. 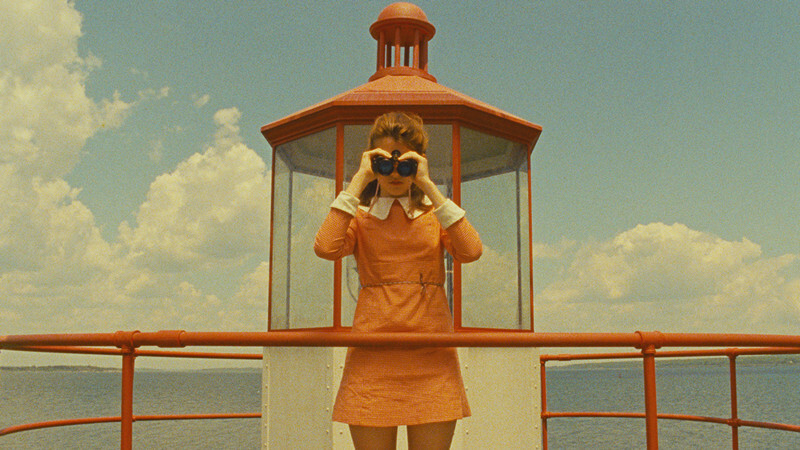 Here are fifteen films with unusually striking, beautiful color palettes. A documentary about Indonesian death squads is probably not the film that would first come to mind when thinking about beautiful colors. However, 2013’s one-of-a-kind The Act of Killing is full of unexpected colors, and what makes those colors so special is that they serve as a backdrop for horrific reenactments by the death-squad leaders. This anomalous film is very hard to describe, but its intense images are one of the stand-out features of the film. 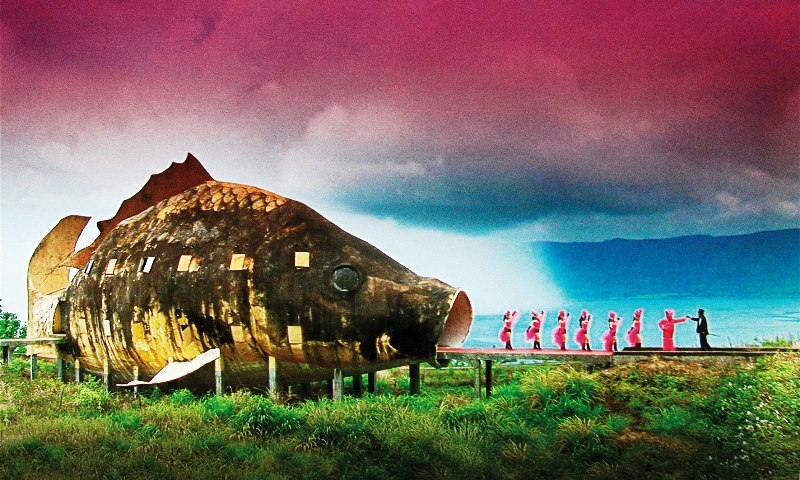 A line of pink-dressed women emerging from the mouth of a giant fish is one reoccurring and unforgettable image in The Act of Killing – a rare documentary that is emotional, surreal and sickening all at once. Spring Breakers is a love-it or hate-it experience. What looks on paper like any other cliché teenagers-partying film, is actually a scathing indictment of America’s shallow society and youth depravity. One of the more unconventional films in recent memory, Spring Breakers is in part so memorable because of its neon haze of colors and skewed editing style. Photographed by Belgium cinematographer Benoit Debie, this is a film worth seeing just for the interesting visual experience, which possibly the best part of Spring Breakers. 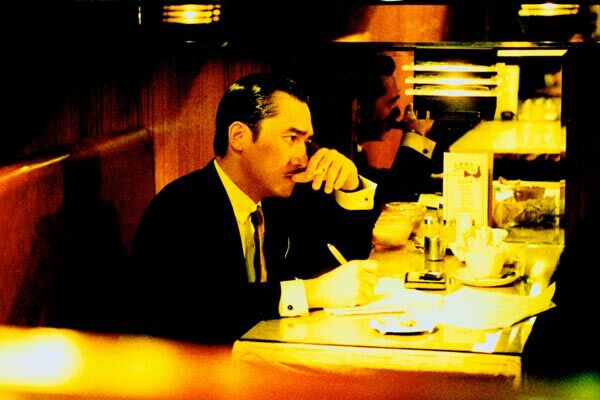 2046 is one of Wong Kar Wai’s most bizarre, mystifying and seductive films. And that’s saying a lot when talking about this director. No Wong Kar Wai film is not beautiful, and it was hard to choose between Chungking Express, In the Mood For Love and 2046 for this spot. All of his films are visually unique and experimental, but we decided to go with 2046 because it’s the director’s most ambitious and mysterious endeavor, as well as one of his least accessible. This is a movie that looks and feels as if it takes place in both the future and the past. It’s even replete with a strange and somewhat-out-of-place sci-fi interlude/subplot.The beauty of the aesthetic though, is that nothing is visually consistent about it. This is just a fun movie in every way. The colors really stand out and take a forefront in this comic-book adapted tale, but in the best way possible. Scott’s love-interest, Ramona Flowers, changes her hair color throughout the film – the hues of her head, as well as of the characters’ clothing, and later on – weapons, are vivid and delightful to look at, and the video game animations that pop up throughout are hilarious and clever. The bright and almost-primary colors of Scott Pilgrim are very important to its story, and also help it achieve its comic-inspired feel. Most future-set movies depict a drabby, grey, dump of a world that humans have left in their wake. If you’re looking for a more optimistic vision of how the world might look in the future, consider Her – instead of Children of Men or WALL-E. Not only is everything pristine and clean in the world of Spike Jonze’s latest, but there are also a lot of red. Apparently, everyone will become very attracted to the color red in the next few decades. Luckily though, Hoyte Van Hoytema shoots these rouge hues beautifully, and creates images both haunting and hypnotic. Her not only proved that Spike Jonze can work without a Charlie Kauffman script, but also that he can be a wonderful visual director. 10. O Brother Where Art Thou? Usually when you think of a beautiful color palate, bight, vivid colors come to mind. 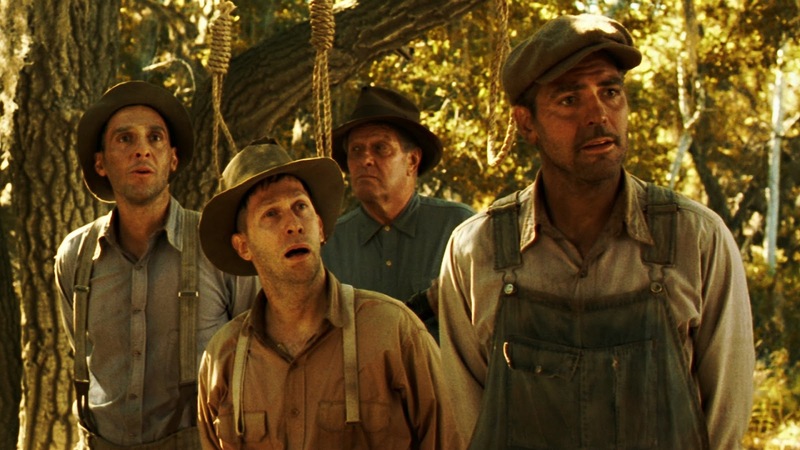 However, as demonstrated with the Coen brothers’ O Brother Where Art Thou?, a sepia-tinted Southern landscape can be just as visually rewarding. Roger Deakins is one of the most artful cinematographers working today, and O Brother is one his most successful collaborations with the Coen’s – who seem to be the directorial bread to his cinematographical butter. The landscape shots are gorgeous, and what this film’s aesthetic captures best is the time period of the 30’s – wonderfully evoking the era with the precise production design and props, but also the colors. 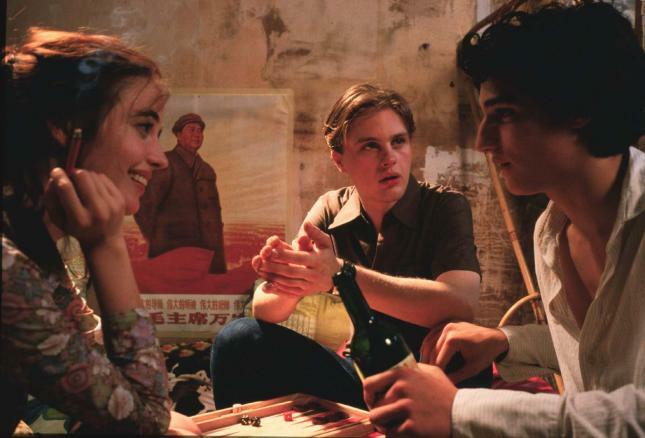 Bernardo Bertolucci is certainly a director of colors, and no better example of his pigmental-mastery than his 2003 sexual drama The Dreamers. The Dreamers is more of a motion painting than a motion picture. In part a valentine to Paris, this film captures the city so exquisitely, and so passionately. What’s even more impressive though is how the camera almost seems to capture the emotion of love – with the striking shades of red, and the startling and unflinching images of an American’s sexual discoveries and awakenings in the city of love.